It’s a bright and sunny day here today! Yes!!! Time to get out in the yard and get a little work done. 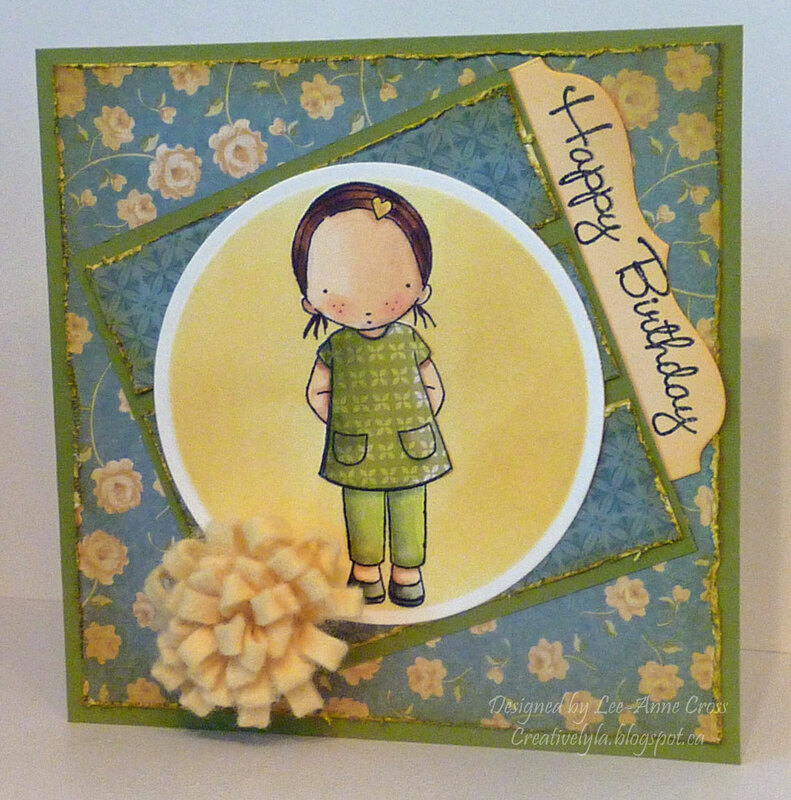 But just had to make a card for the weekly MFT Sketch Challenge before heading outside. This sweet little Pure Innocence girl has been colored with Copics and her top was paper pieced. I added some shading to the paper-pieced top before gluing it onto the image. Her little barrette was colored with Copics and then I added a little bit of sparkle with a Spica pen. The background was airbrushed with Y11 and then sponged with Stampin’ Up! Barely Banana (retired color). All the edges of the designer paper have been distressed and then inked with some Distress Ink in Crushed Olive. The flower is made with MFT felt and the Loopy Bloom die.